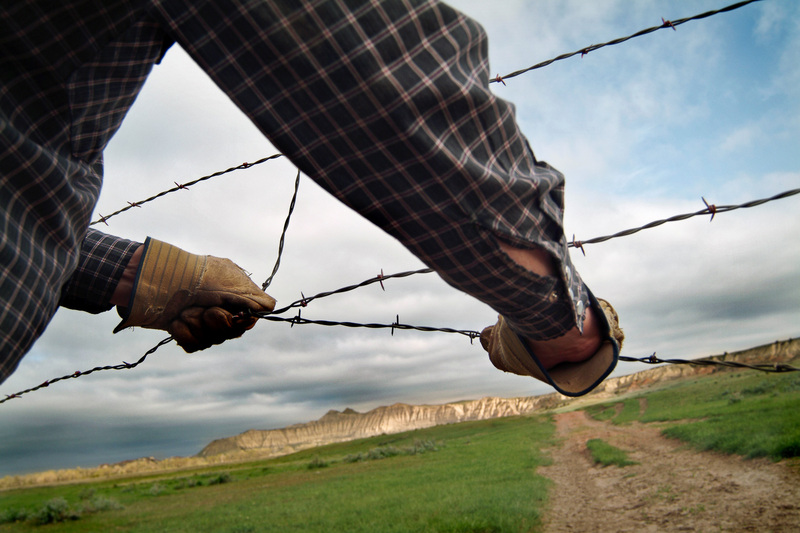 John Hanson, 47, repairs a fence on the Logging Camp Ranch on May 16, 2003. John and his family run the Logging Camp Ranch which has been in his family for over 100 years. The Logging Camp Ranch has diversified into ranch tourism, recreation, bison, and horses. The nearest school is over 40 miles away in Bowman. John's wife and 3 children live in Bowman during the week to attend school and at the ranch on the weekends and during the summer.